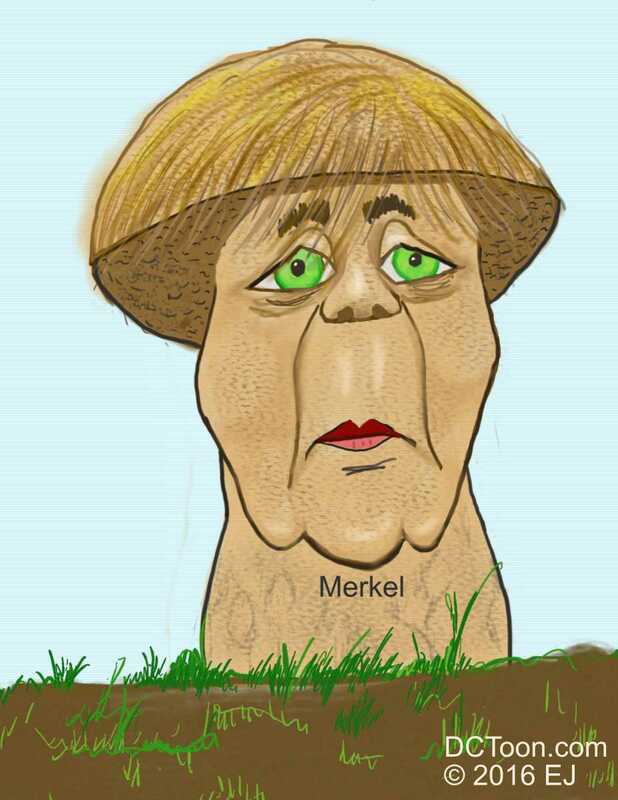 Every time I see Angela Merkel’s hair, I think mushroom. So, here is my vision. 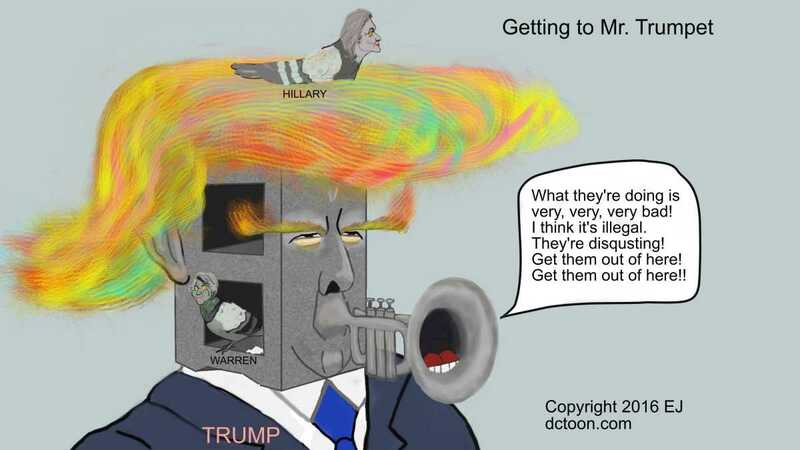 Elizabeth Warren and Hillary Clinton push Mr. Trumpet-Trump’s buttons.